I don't spend much time on Just One Donna talking about breakfast. That's because breakfast is more often than not, a simple meal focused on eating something quick and easy that allows me to get on with the rest of the day. Occasionally, I'll put a little effort into breakfast. Blueberry pancakes are one of those occasional family friendly breakfasts that take just a little effort. Every time I make blueberry pancakes, I tell myself I should make them more often. This post contains affiliate links for your convenience. Purchases made using these links help support the costs to maintain this blog. Do you make pancakes? They are such a simple food. They really are a beautiful thing in their simplicity. It's amazing that mixing a little flour, milk, baking powder, and salt with this family friendly recipe can make such a delicious and satisfying breakfast food. 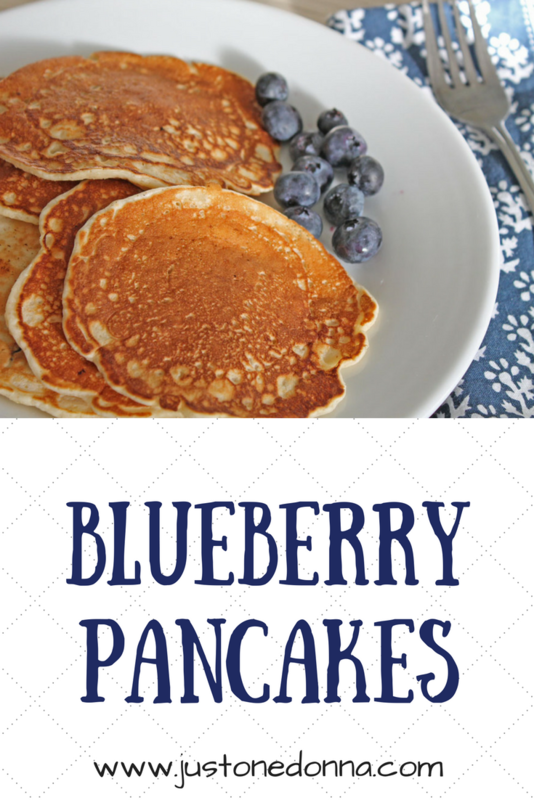 Plain pancakes are a family favorite, but add blueberries and you'll be in heaven. I like to add a little cinnamon and nutmeg to my blueberry pancakes. 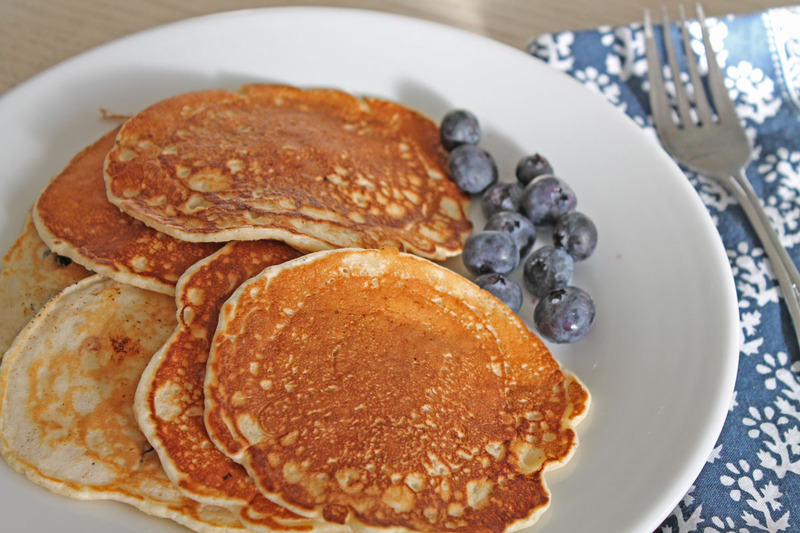 That makes them so yummy that very little pancake syrup is needed. In a medium sized mixing bowl , mix together the dry ingredients until well combined. Mix the eggs, milk and butter together in a separate bowl. Heat your nonstick skillet over medium heat. Melt a little butter in the pan. Combine the wet and dry ingredients, adding a little extra milk, if necessary to get the consistency you want. Add the blueberries. Mix gently to combine. Scoop the batter by spoonfuls into the heated skillet. Flip the pancakes when bubbles form across the tops. The first pancakes are often the least pretty. They'll taste good but may not look as nice as you would like. 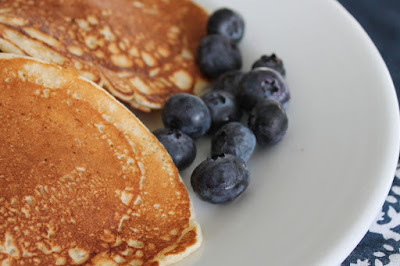 Serve warm with your favorite pancake syrup.